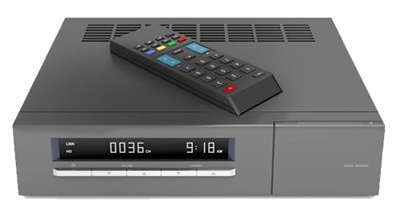 Set top box (STB) manufacturers today need to provide consumers with a ”TV Everywhere” experience, usually involving a primary STB located in the most popular viewing area (such as the family room) and a less expensive STB in a bedroom(s) or other secondary location(s) in the home. By having Twonky Server embedded on the primary STB and a client embedded on secondary units, family members can watch their media, whether personal or protected premium content, anywhere in the home. Twonky Server offers DLNA and UPnP server capability and has been developed in the ’C’ programming language to yield efficient binaries and requires no further development by your engineers. Our technology utilizes industry standard content protection while ensuring that your customers’ multi-screen and multi-device connectivity and functionality requirements are met. Standard version: Allows consumers to share media by enabling STB manufacturers to integrate Digital Media Server (DMS) and Mobile Digital Media Server (M-DMS) capabilities into their devices. With Twonky, the STB will be able to discover other devices and media content as well as to stream non-DRM protected audio, video and photo media types to supported devices. Available as a standalone server (end user installable) or an embedded server. Premium Content version: DTCP-IP/PlayReady DRM version for STB vendors includes all functionality of the standard version. Supports protected streaming of premium content (recorded and live) within the connected home.